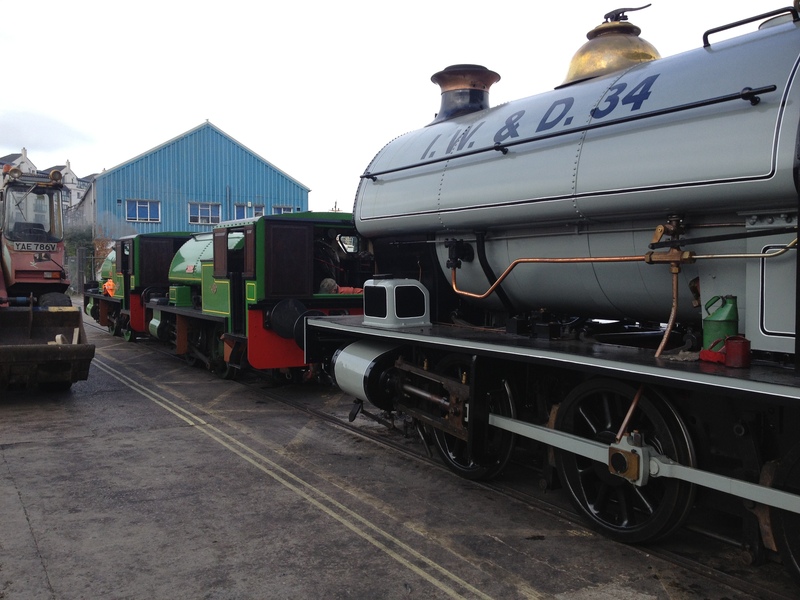 A lot can change in a week! 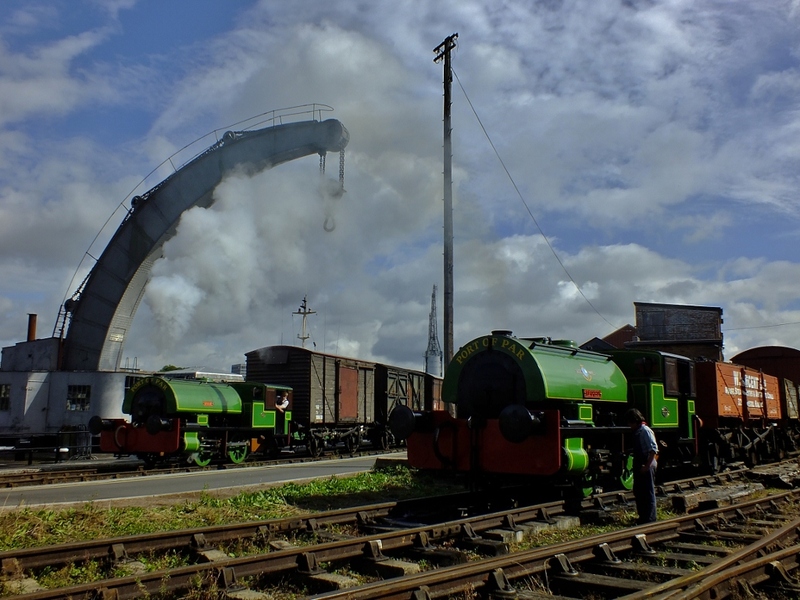 There is a hole in the sky as ‘The Barn’ is dismantled. 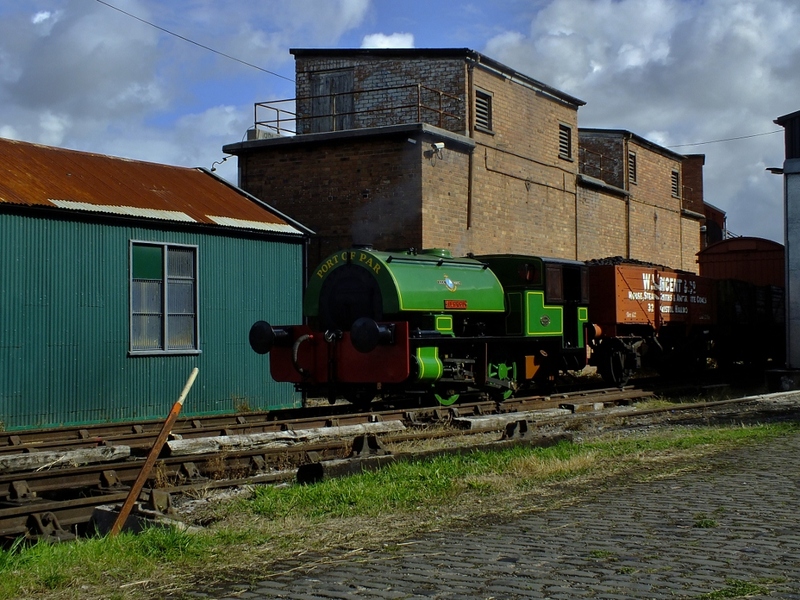 In the current redevelopment plans, the siding on the right will be reconnected to the shed road on the left, forming a loop into the yard again. 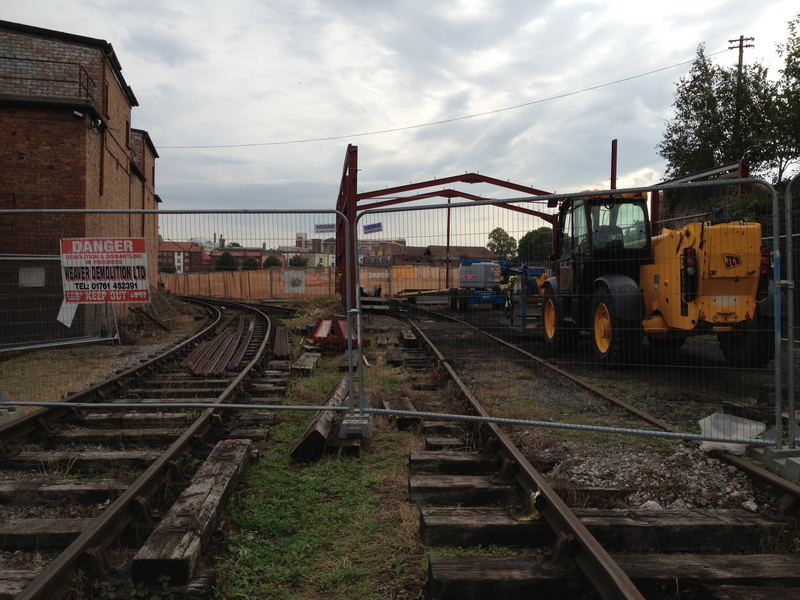 The stone setts on the right (under the telehandler) are to be replaced with an access road, which will cross both lines roughly where I am standing to take the picture. 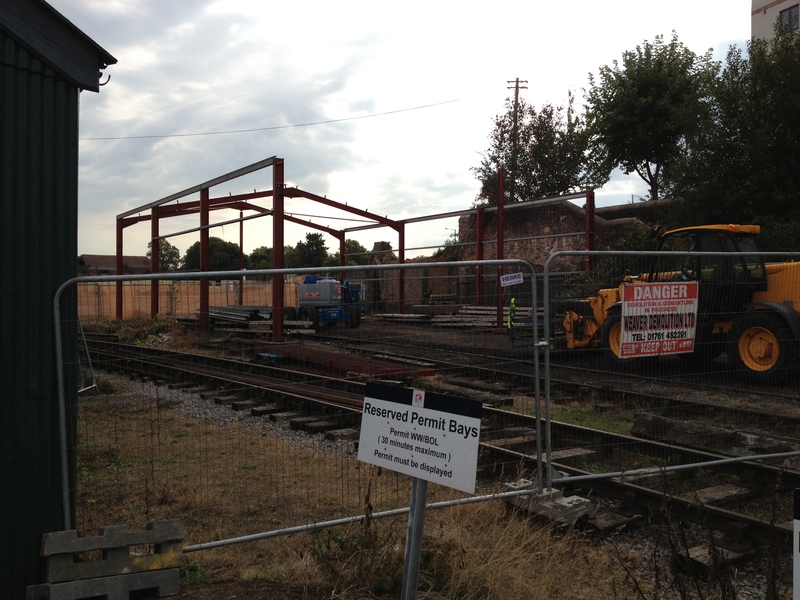 This will take traffic away from the current choke point around the front of the Olive Shed. 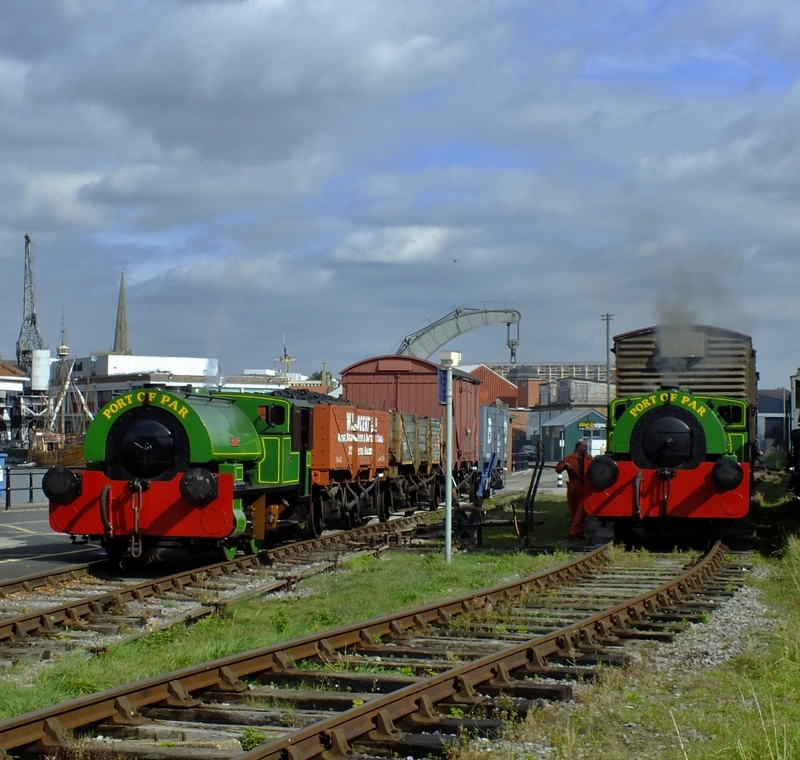 Bagnall locomotives ‘Alfred’ and ‘Judy’ took part in a photo charter with resident Avonside ‘Portbury’ on Thursday 12th September. 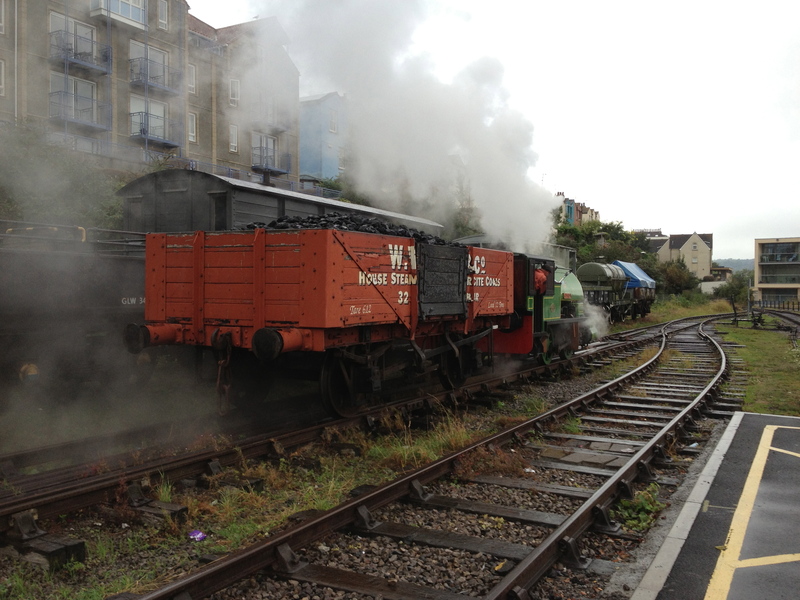 Martin Creese of 30742 charters took the following images and has kindly given permission for them to be reposted here. 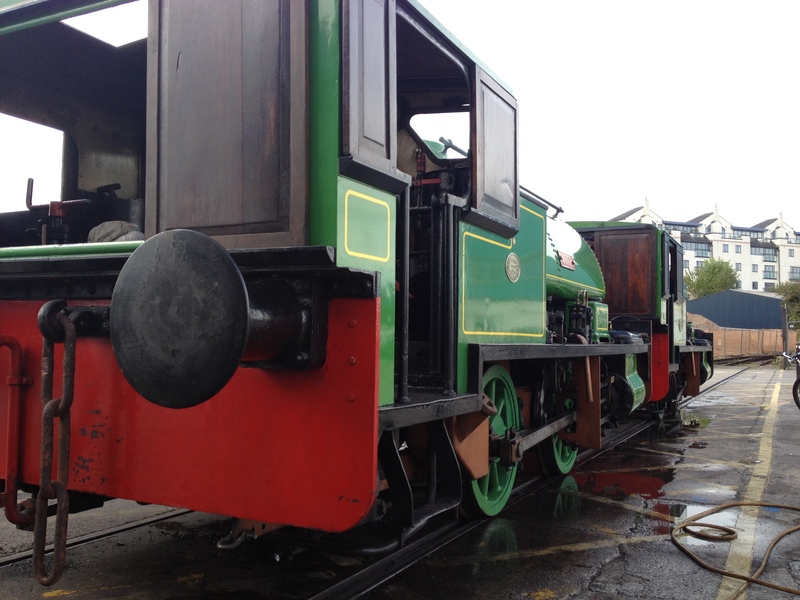 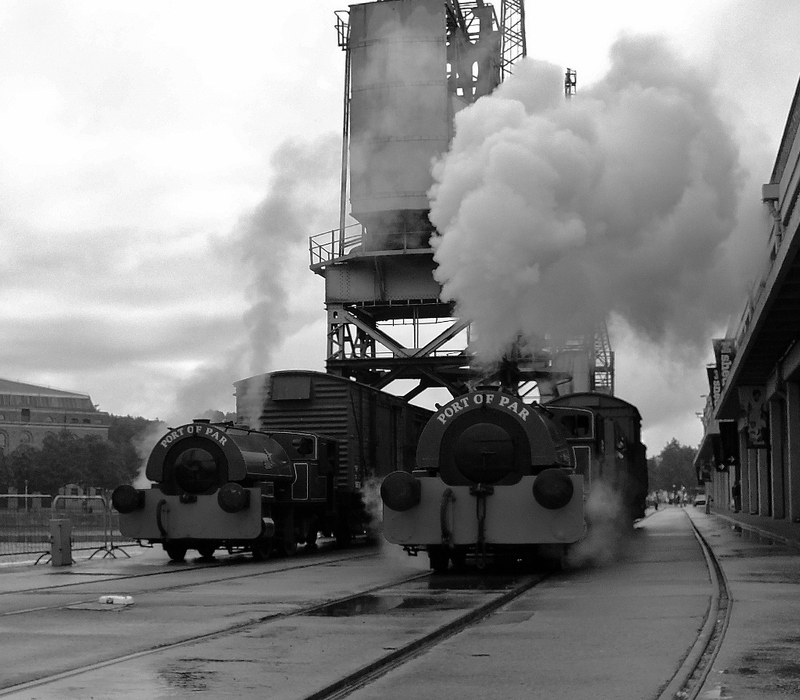 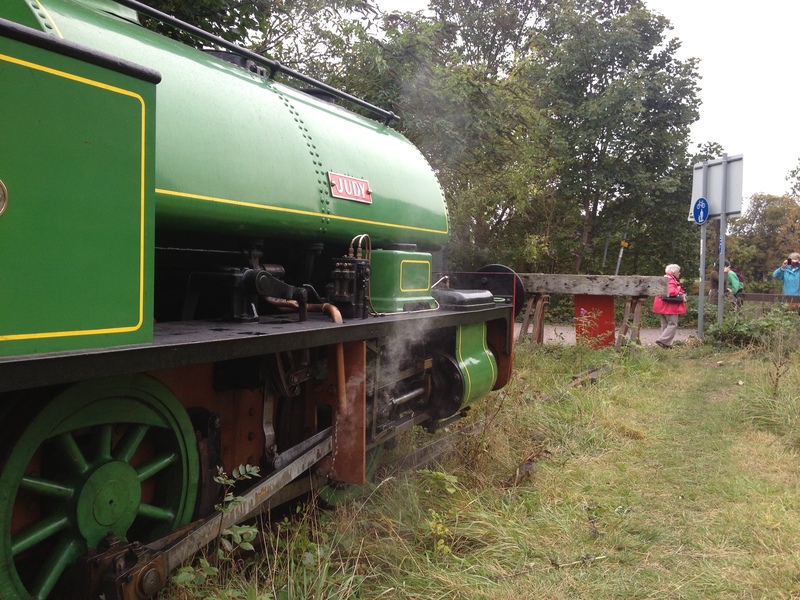 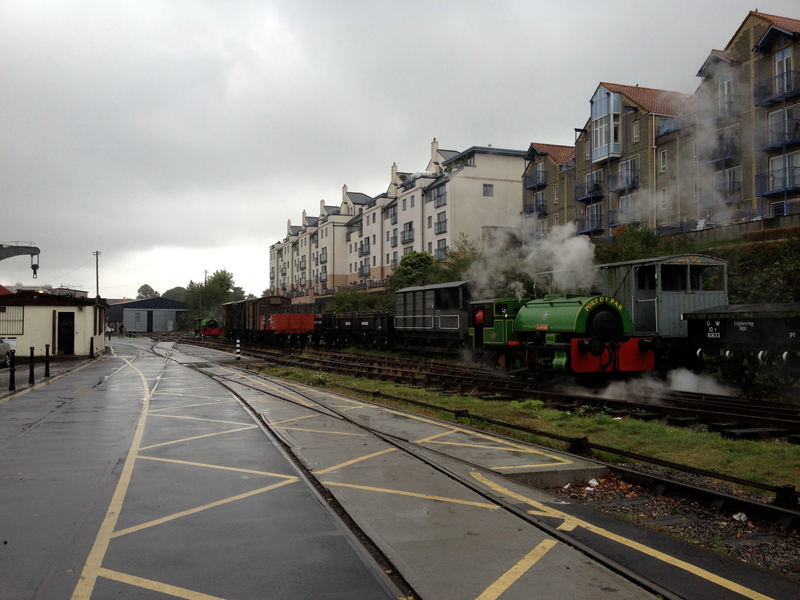 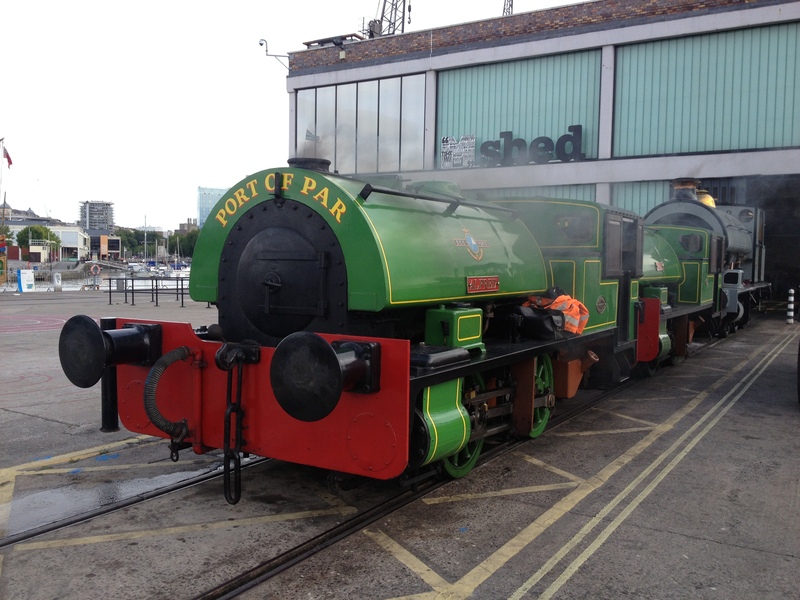 Finally, here’s a small clip of the two locos parallel running on the dockside. 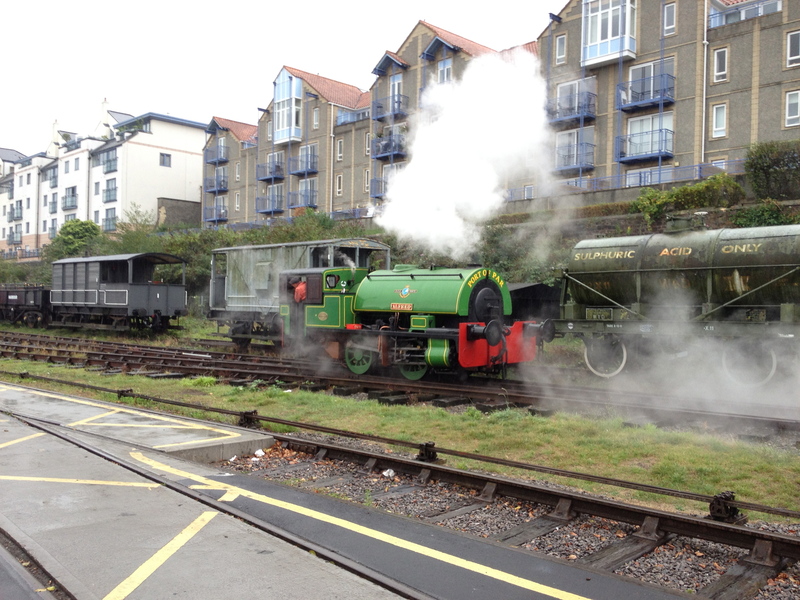 Alfred and Judy arrive at the BHR! 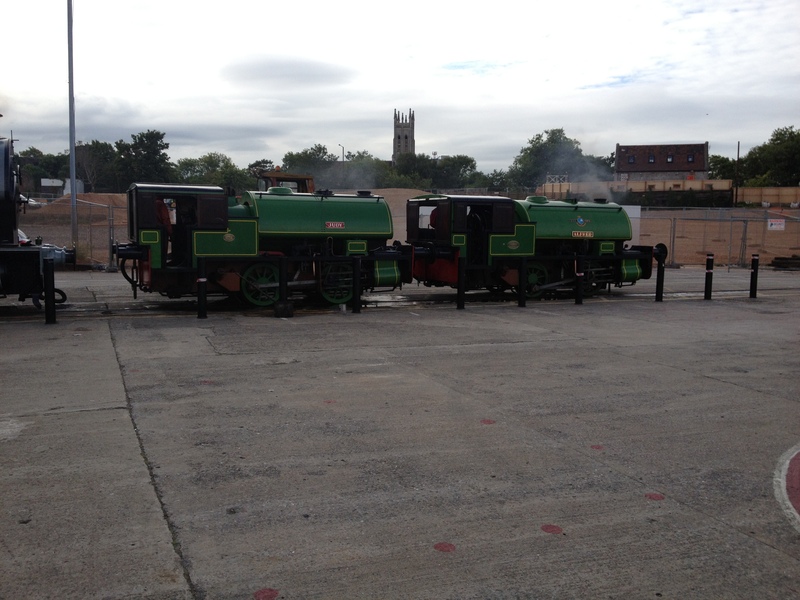 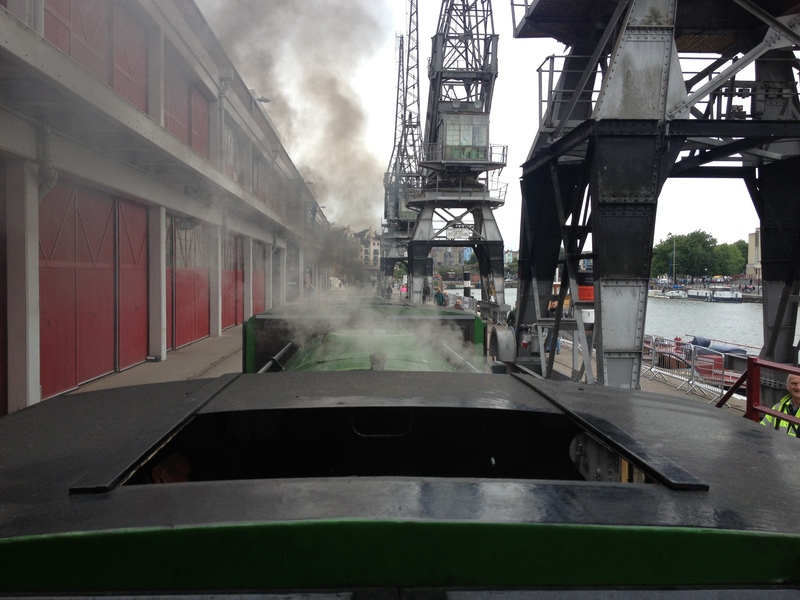 The diminutive Port of Par twin engines ‘Alfred’ and ‘Judy’ have arrived in Bristol. 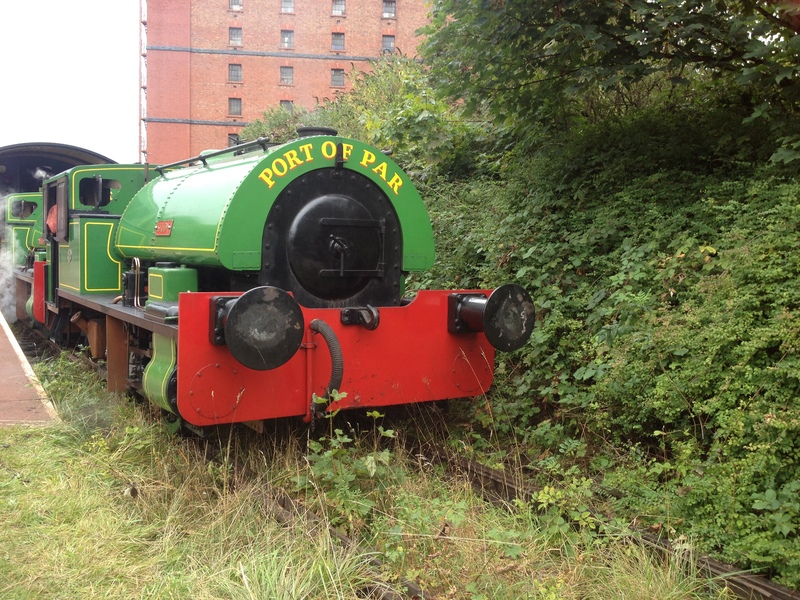 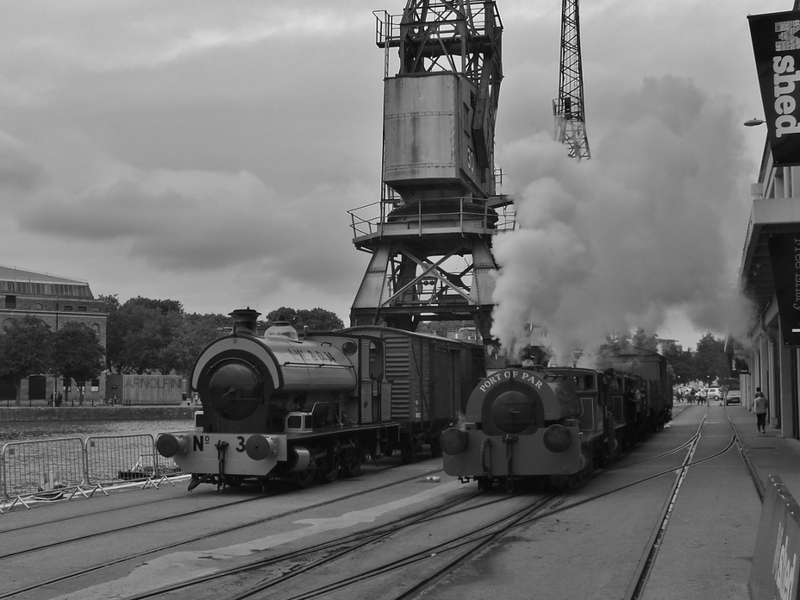 Thursday September 12th will see them operating photo charters, and as an added bonus, they will be operating service trains in conjunction with the BHR’s own ‘Portbury’ this coming weekend. 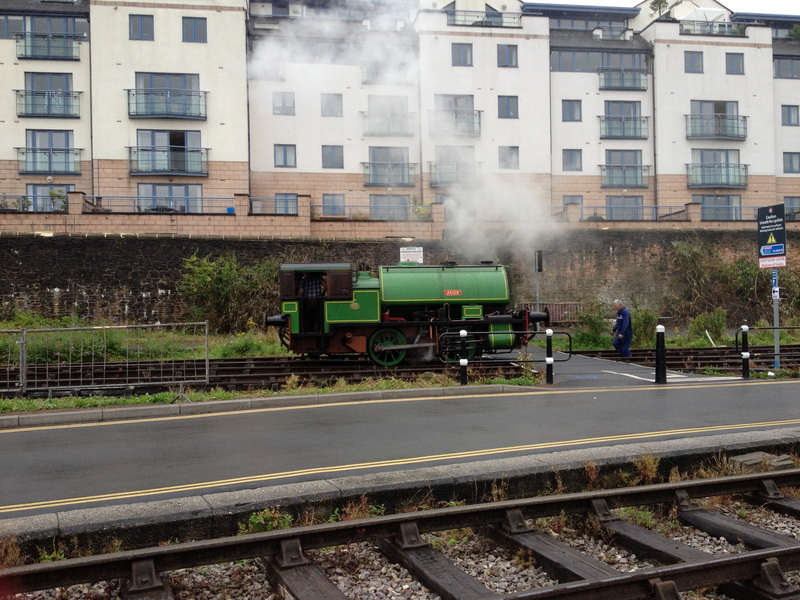 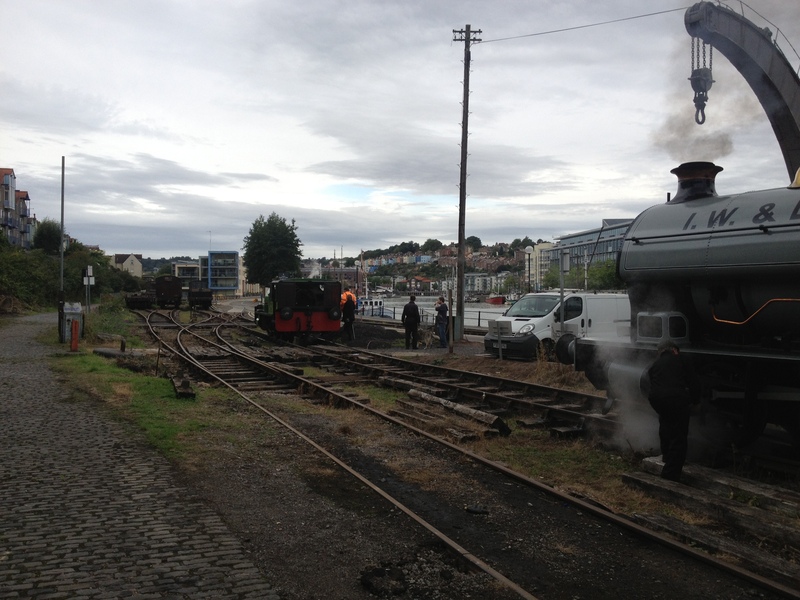 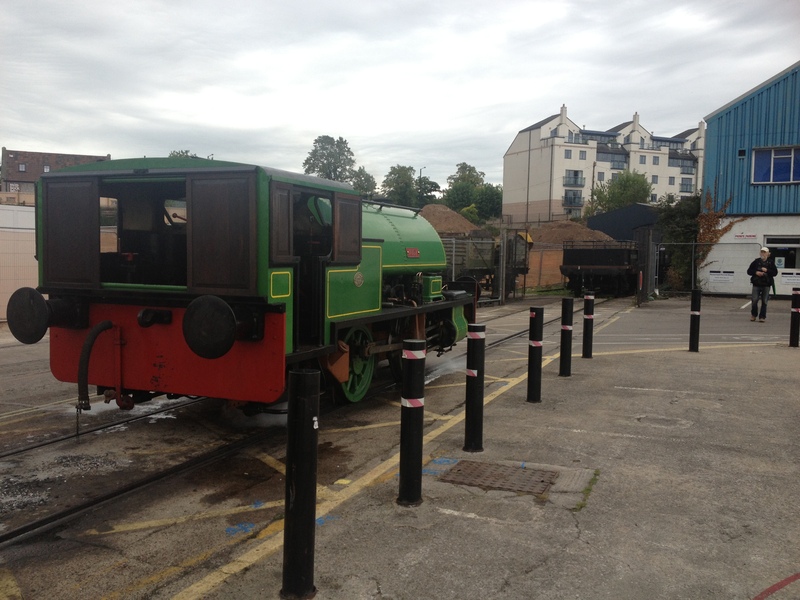 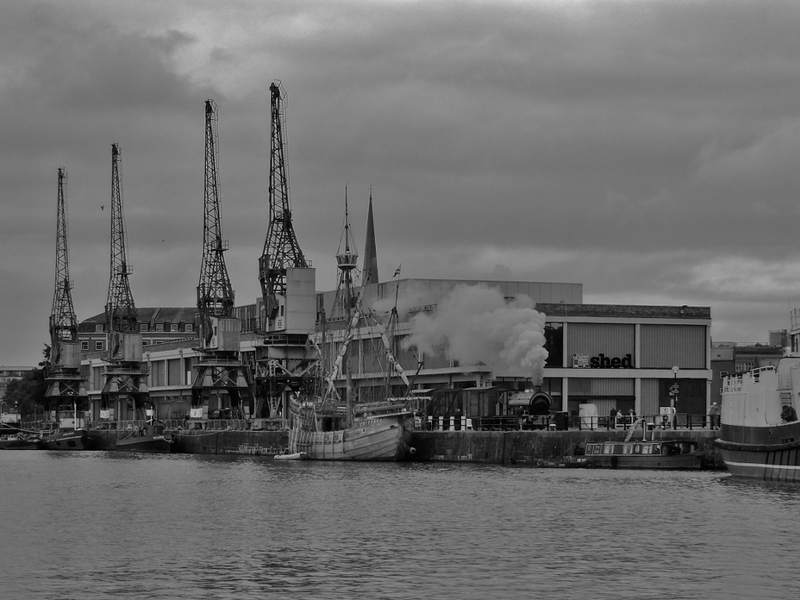 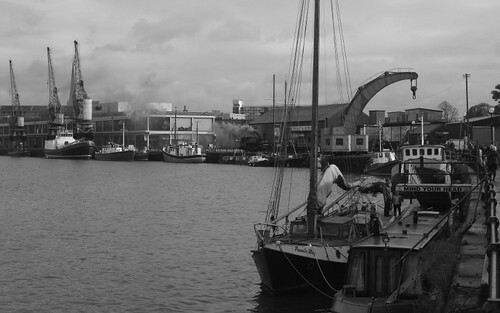 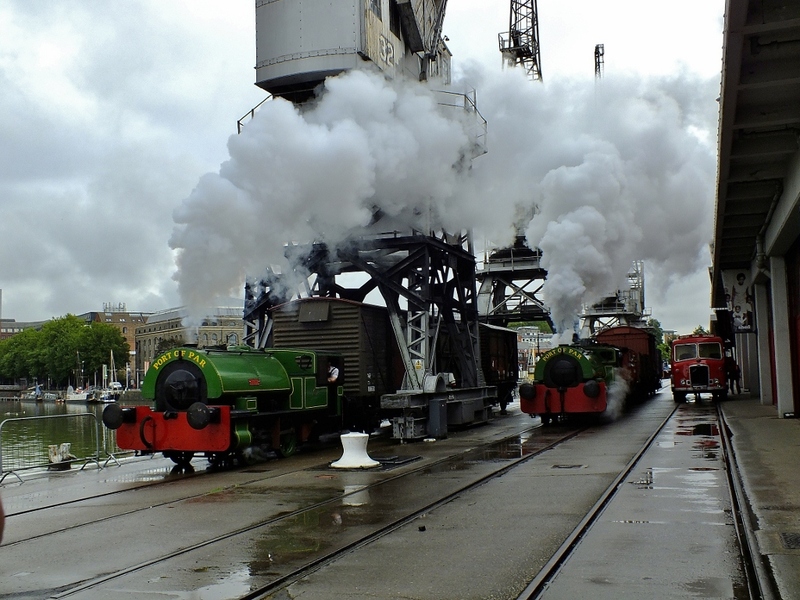 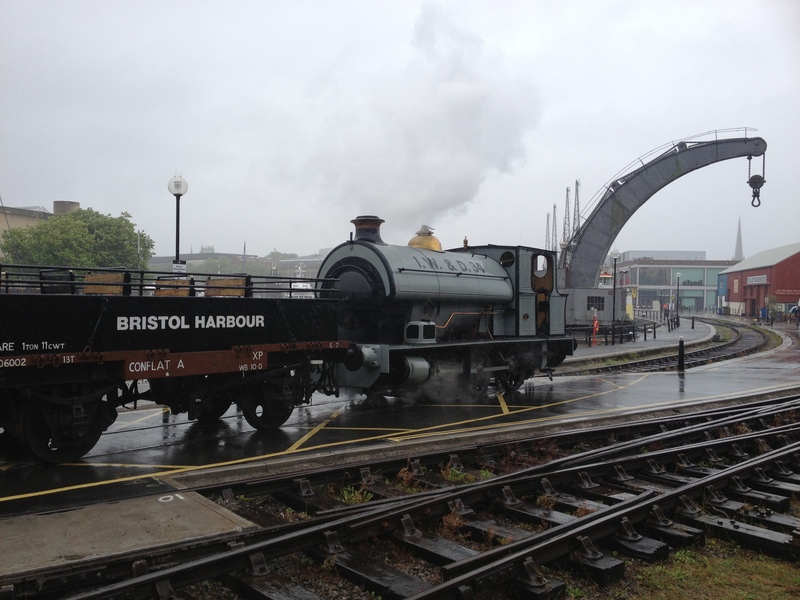 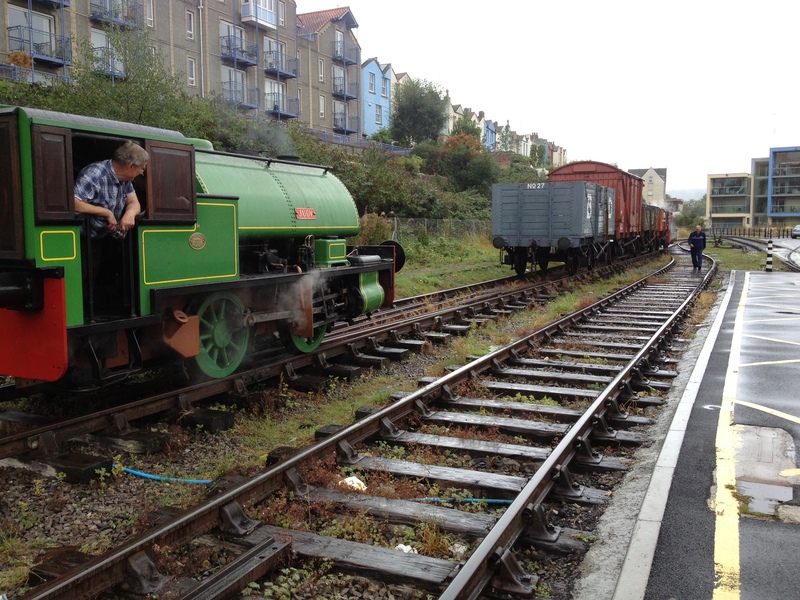 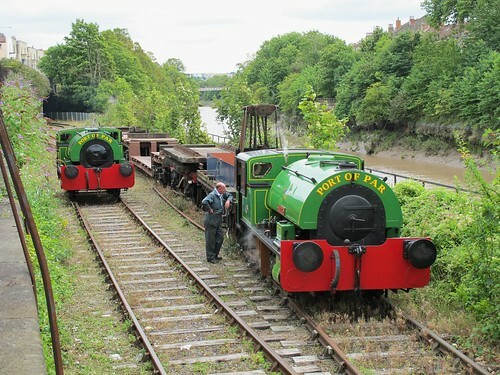 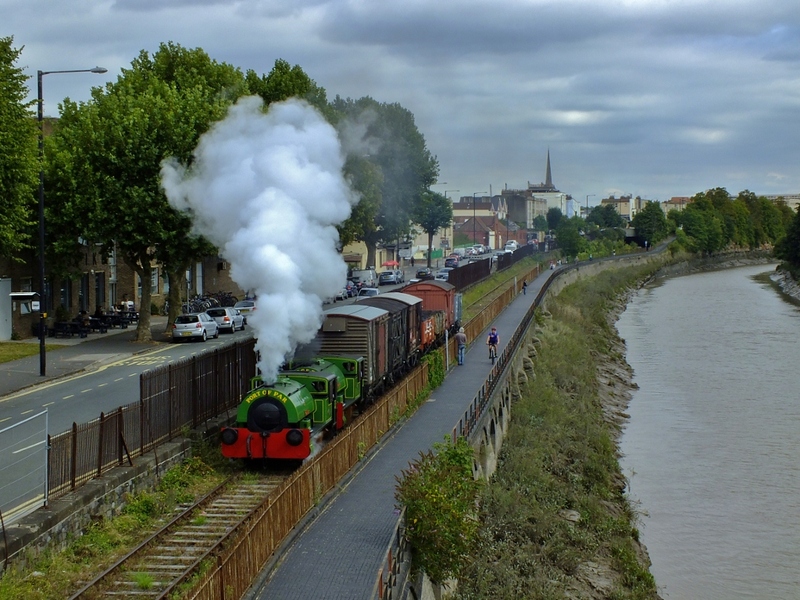 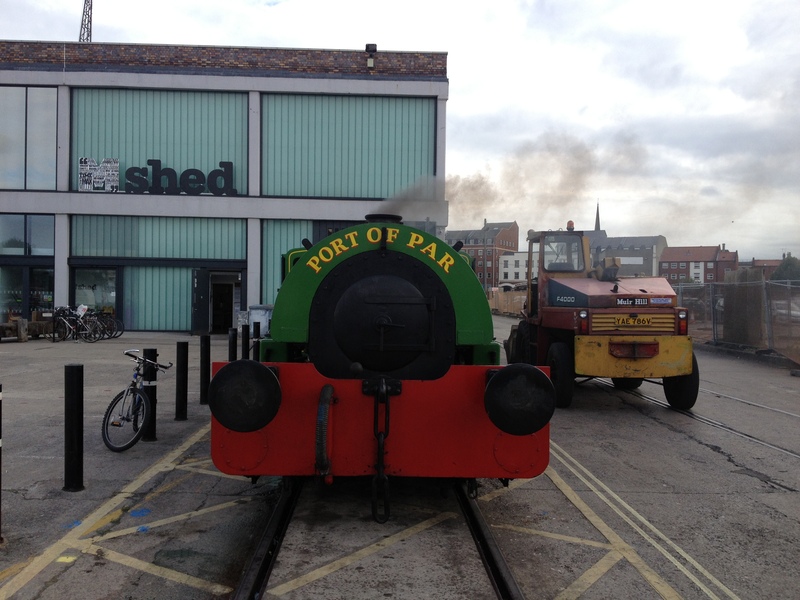 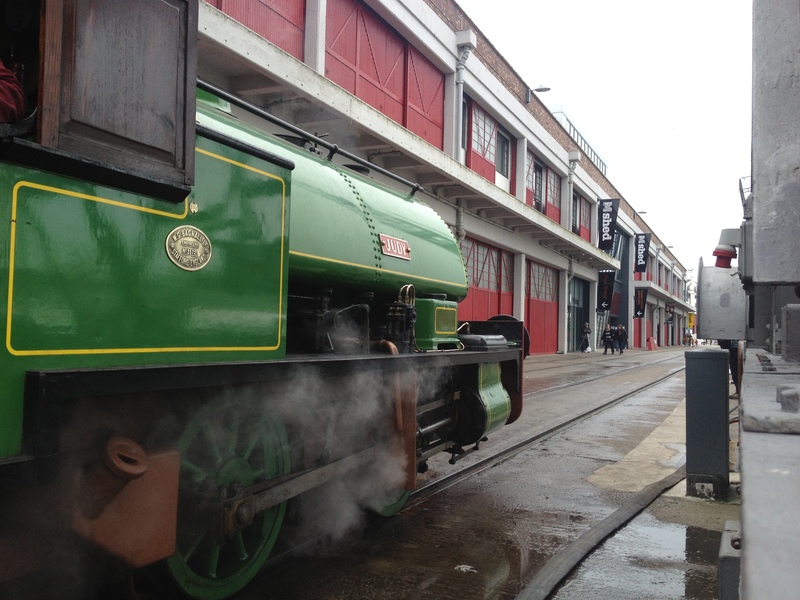 The charter and the visit has been organised through 30742 Charters with the Bristol Harbour Railway, the Locomotive’s owners, and the haulage company.